I have the ring with the stones mounted the same way as these stones on these earrings. So I wanted to have the earrings to go with the ring. I love the unique mounting of the stones in both the ring and earrings. They have lots of sparkle. In the 1940s, when a big jewelry company said "a diamond is forever", what they really meant to say was "paying for a diamond is forever." When the skimpiest 1-carat solitaire can go for as much as $16,000, it's time to reconsider your relationship with diamonds. Have you overpaid only to be underwhelmed? Send it back. You can do bolder. You can do brighter. And, you can pocket huge savings. It's time to drop the habit of overpaying only to be underwhelmed. We've got the perfect alternative. 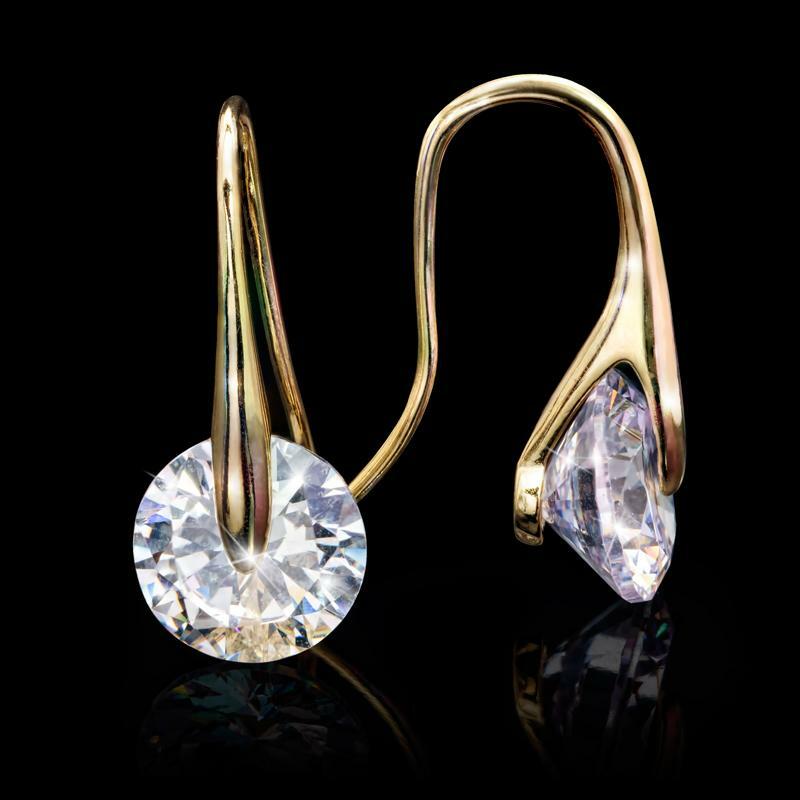 Our Solitaire Drop Earrings carry almost 8 total carats of white hot sparkle for far less than you'd expect. We've invested close to $6 million developing the science for recreating the look of natural mined diamonds. Now you get to reap the rewards. Stauer's exclusive, DiamondAura® jewelry delivers more stunning fire and clarity than natural diamonds for a fraction of the price. According to the book Jewelry and Gems, The Buying Guide, the technique used in DiamondAura offers "the best diamond simulation to date... and some jewelers have even mistaken these stones for mined diamonds." Certainly grounds to drop the diamond habit and delight her with the breathtaking sparkle of our Solitaire Drop Earrings.